Wow that was fast… no more did we get Google+Facebook which lets you see your Facebook stream inside Google+ but now Google+Twitter comes at us providing the same for your Twitter stream. 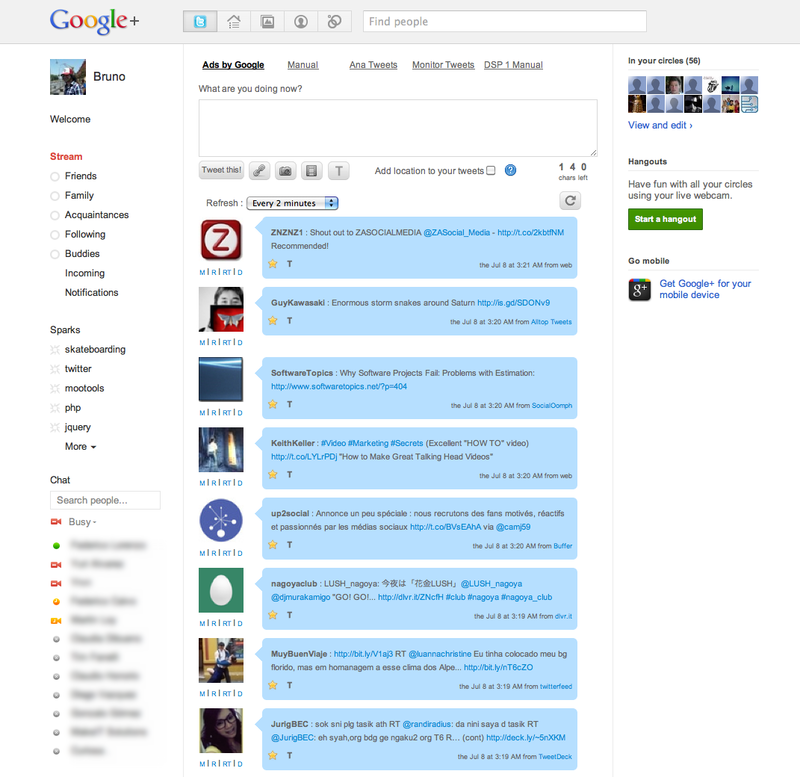 Is it just me or does it feel like Google+ could be my central hub? I wonder when Google+Reader integration will show up? Only works in Chrome or FireFox, get Google+Tweet here and don’t forget to follow me on Twitter.